Families are just beginning to discover the former East Germany, land of romantic castles, historic towns, beautiful beaches and German infrastructure… all at Croatia prices. We recently visited the state of Mecklenburg-Vorpommern, 3 hours from Hamburg or Berlin and just 7 hours from Copenhagen, and found a perfect destination to experience rich European culture with kids in a safe, English speaking environment. Central square in the Old Town of Rostock is illuminated at night. Families with younger children should settle in the university town of Rostock, close to Baltic Sea beaches. In addition to welcoming up to 800,000 cruise passengers annually, it is Germany’s most popular summer resort with lots of kid-friendly activities. A Hanseatic town, like Bergen in Norway (but much cheaper), Rostock was a thriving commercial center from the 12th-18th centuries. The Hanse, a confederation of trading towns along the Baltic and North Seas, protected regional commerce for Rostock’s craftspeople, fishermen and farmers. Typical stucco and wooden merchant houses line the cobblestone squares, making an Insta-worthy backdrop for cafes, and produce and flower vendors during market days. 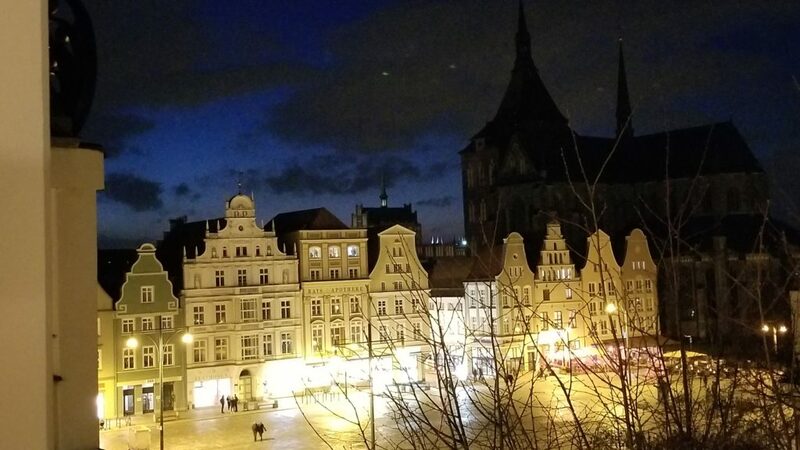 Since Rostock is turning 800 years old, added programming makes 2018 the year to visit. Take advantage of Familienkartes – family tickets available everywhere that include two adults and up to three children for a reduced entry fee. Indoor attractions are mostly open year round, except holidays; most admit children under 6 years free of charge. The best weather is between May and October, but keep in mind that during school holidays, the Baltic Sea coast is crowded with German and Polish families. 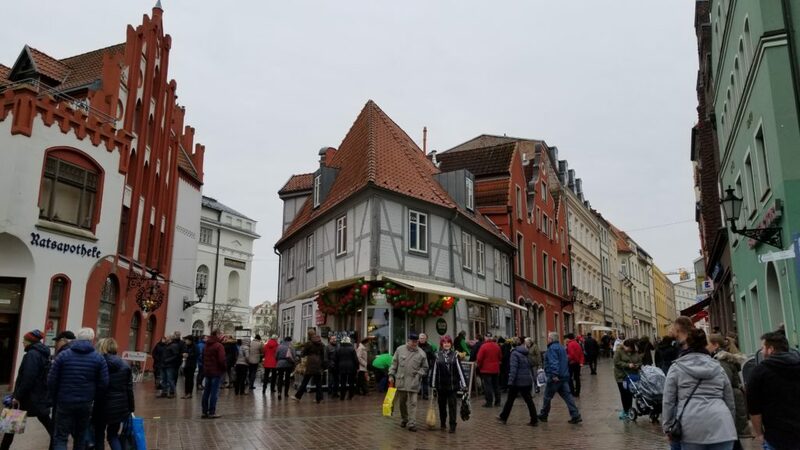 Rostock’s Christmas Market, with midway rides, a Ferris wheel, and less than traditional vendors, is also very popular with families. The Rostock Zoo, voted “Best Zoo in Europe 2015” among zoos with fewer than 1 million visitors, is famous for its Darwineum, an exhibit tracing Darwin’s theory of evolution from microbes to man, with a fascinating look at wildlife from giant tortoises to apes in a tropical habitat. It’s just 15 minutes by electric tram from the central square. Ozeaneum, Europe’s Museum of the Year in 2010, is about an hour’s drive away in Stralsund, a town with a historic harbor that’s worth exploring. You’ll be amazed at the variety of resident species in the Baltic and North Seas; sadly, the Open Atlantic exhibit is closed for a major renovation. Do visit the rooftop tank, where 10 Humboldt penguins rescued from regional zoos are playing. The smaller Muritzeum is in Waren on the coast of Lake Mur. The lack of “progress” during the former East Germany’s impoverished regime safeguarded this ecosystem, and the museum showcases the diversity of birdlife and forests in a very kid-friendly way. Listen to the 1,000-year-old Talking Oak, and visit the freshwater fish and mollusks in the Aquarium, which has a two-story tank full of whitefish. The Phantechnikum is for families who want to learn how things work, with many hands-on exhibits and a hall of airplanes that needs no translation. Drive or take the OPNV public bus to get there. Open daily in summer; closed Monday the rest of the year. Yes, there’s a Butterfly Farm and a Petting Zoo as you might expect in an ideal-for-toddlers destination, but you must visit Karls. Founded in 1921 and still free to all, Karls is a strawberry farm turned funtown on a par with Knott’s Berry Farm in southern California. This farm themed amusement park has entertainment, restaurants, a jam-making factory and beerhalls, plus seasonal ice sculpture pavilions, tractor rides, pony rides, waterslides — and more – some for a fee. No matter how you feel about kitsch, it’s a fun day out in nearby Rovershagen. Rostock has many small hotels, boutique ones like the Penta and business class ones like the Steigenberger Sonne, with different prices according to season. Families will prefer a small B&B or the full service Radisson Blu located on the harbor, whose contemporary Scandinavian high-style rooms come in junior suites or connecting doubles. There’s a large spa, fitness area and roof terrace for nice weather dining. In summer, head to the Warnow River waterfront for outdoor and ship’s-deck dining. Nearby, a popular local pub, Zur Kogge serves grilled codfish and a variety of wurst in an atmospheric indoor space. Bad Doberan has the Baroque tombs of the Duke and Duchess of Mecklenburg on view. Bad Doberan was built during the 12th-14th centuries, originally for monks from the Cisterian order of St. Benedictine. Although they committed to modesty, ornate painted bricks, marble flooring, a gilded wooden altar and a tower were later added. 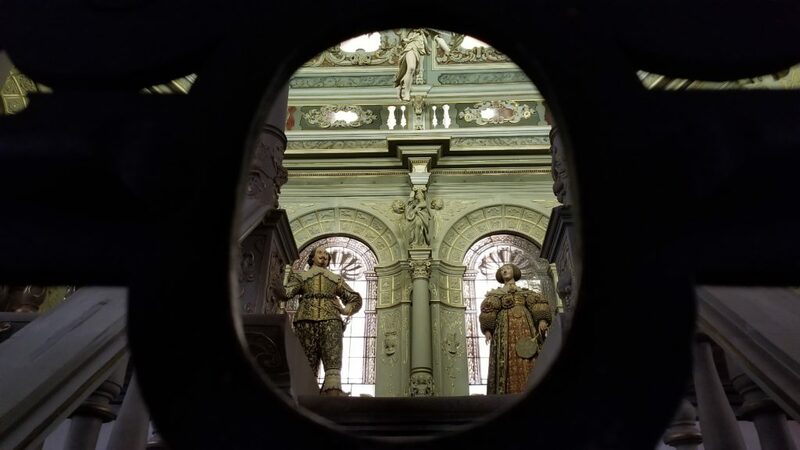 Today, past dukes of Mecklenburg, including Duke Adolph Friedrich and his wife Anna Maria, can be seen in Baroque tombs. Royalty from neighboring Sweden and Denmark are also buried there, making Bad Doberan a popular day excursion, and ensuring the church’s preservation through the centuries. Dress warmly. It is said that the Bad Doberan interior is always the same temperature as the Baltic Sea. Bring books; the cathedral has a little reading corner set up for kids. Fields of growing cabbage (fondly known as the ‘palm trees of East Germany’) give way to rolling hills and forest as you travel the region. The city is developing sustainably, building holiday apartments along the harbor so that tourists don’t overcrowd the walkable Old Town. Although locals seem to prefer factories to tourism, they are proud that F.W. Murnau’s eerie silent film masterpiece, “Nosferatu” was shot in Wismar. The Old Town of Wismar is full of Hanseatic era merchants’ homes. Follow the steeples to St. Georgen, one of the austere Gothic churches that fell into ruin during German Democratic Republic (GDR) days, and explore the new elevator and viewing platform. Across the way, only a graceful tower of St. Marien remains standing, with an exhibit hall that shows “Bruno the Brick Builder,” a cute 4-D family film about how bricks are made. Seeperle, a bustling riverfront restaurant founded by a fisherwoman who organized the town’s fishing collective under Socialist rule, is a must-stop foodie destination. 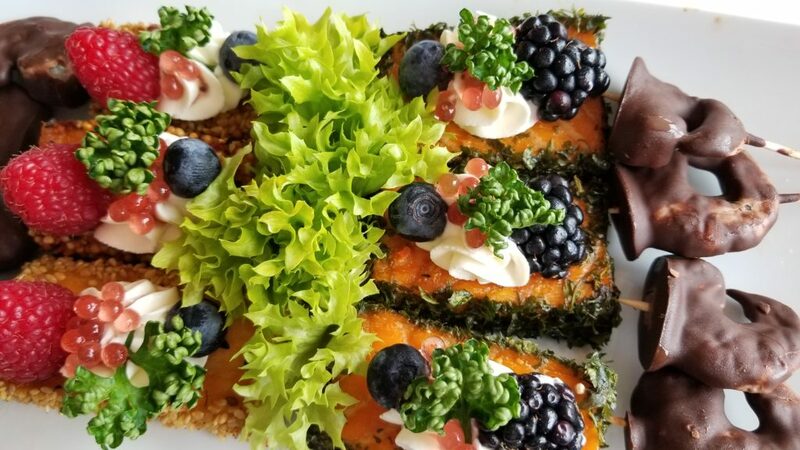 Our hosts chose a variety of appetizers and shared entrees, allowing our group to sample about a dozen species of Baltic Sea fish at a delicious lunch. Different preparations of codfish, salmon and chocolate covered shrimp at the Seeperle in Wismar. The Baltic Sea’s soft sand and shallow waters make it ideal for young swimmers, and Kuehlungsborn is one of the most popular resorts. The restored pier and seaside villas have an old-fashioned charm, and shops and restaurants along the boardwalk attracts day visitors year round. From Kuhlungsborn, the little Molli Steam Train runs east to the seaside resort of Heiligendamm. Its namesake, Molli, was a pug who rode the train so often with her master that she now has her own stuffed animal in the gift shop. In fact, dogs are welcomed in most restaurants, shops, museums and hotels that we saw in Eastern Germany. Beachfront, the brilliant white Grand Hotel Heilingendamm has dominated the GDR’s hospitality industry since 1793. (Yes, that means for the past 225 years.) Host of the G8 Summit in 2007, it’s a beautifully restored, very private, vintage luxury resort. Because there’s a formal hydrotherapy spa plus a kids club for ages 5-12 located in their own buildings, it’s the perfect spot to break up any sort of travels. Heilingendamm, too, is a cultural eye-opener. 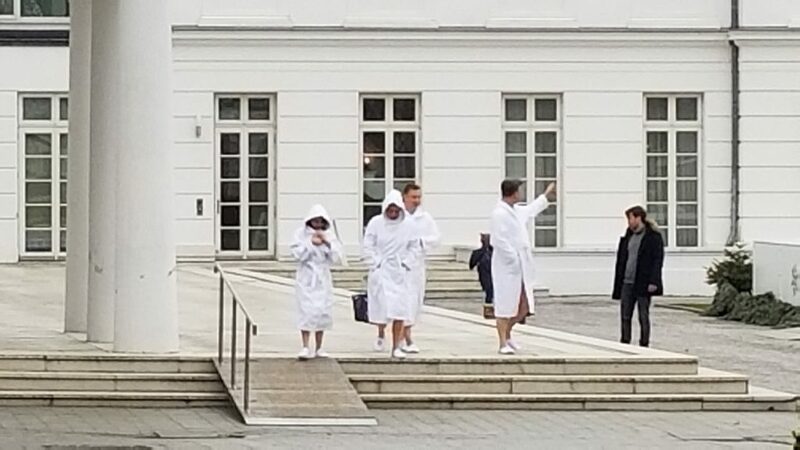 Having seen many luxury resorts in the West, we decided that, rather than the proletariat, the bathrobe-wearing spa guests with kids must have been Russian tech entrepreneurs. Any family would be thrilled to stay in Heilingendamm’s turreted castle wing. The noble treatment granted children, and the fine dining opportunities, are many pay grades higher than the East Germany prices – from €195 per night per person including half board — the resort charges. Spa going guests at the five-star Heiligendamm Spa on the Baltic Sea coast. The city of Schwerin, seat of the Duchy of Mecklenburg-Schwerin since 1701, is, in contrast to Rostock, a town of the elite. Its grand, over-scale architecture will appeal to older children and arts lovers, and it’s said that the museum has one of the finest collections of Dutch and Danish art in the world. 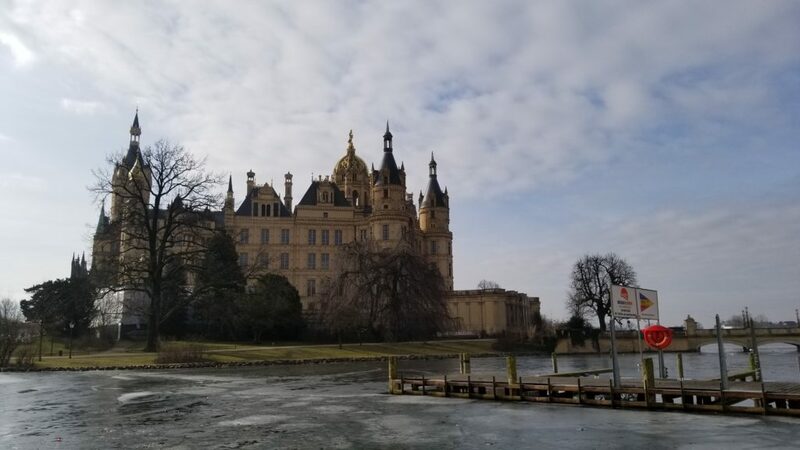 Try to visit Castle Schwerin on a weekend or when the Mecklenburg-Vorpommern Parliament is not in session, so you can see the rooms used now by government. If you base the family in Schwerin, plan three days to explore the Castle, visit Rostock, and tour the well preserved Gothic town of Wismar. Have a meal at Weinhaus Wohler – terrific food and ambiance — in the old town. In summer, rent a self-drive houseboat as a base; they’re widely available on Airbnb and other sites. Castle Schwerin, with foundations dating from 1160, is a frilly, pale gold fantasy with gilded spires and bell towers on an island in Germany’s third largest lake. Perfect for princesses and princes, it is said to have 644 rooms, some of which have been renovated as a museum to the Duchy’s era. Don’t miss the English style Castle Garden, full of joggers and strollers who circle the property and its 200-year-old specimen trees. Daily, March to October, there’s a 90-minute, guided boat tour on the lake. Originally modeled on the Chateau of Chambord, Schwerin Castle has been through many expansions over the centuries, and was decorated with much of its finery only in the mid 19th century. Rent the audioguide – only 2 euros – to hear the stories of the castle’s long history, and the royal family who married into most of the major courts of Europe. We were taken with tales of the midget Little Peter, a worker who haunts the castle –- and the desks of some in the current government — to this day. Can you tell how big it is? This photo of Schwerin Castle in Wismar was taken from 1/4 mile away. There is a lot to experience but the most compelling reason to visit Mecklenburg-Vorpommern is the spirit of this former East German state that has not forgotten its past. Elsewhere in Germany, for example, people describe themselves as German. Here, residents say they are East German, and always with great pride. We say: Go now, before it changes! When the Berlin Wall went up overnight in 1961, it closed off Berlin, which had been the gateway for Eastern Europeans fleeing to the West since Germany‘s division at the end of WW2. The wall came to symbolize the Iron Curtain between democratic and socialist political systems that marked the Cold War, something grandparents and many parents will remember. East Germany, or the German Democratic Republic, was largely an agriculture and mining region, distinct from the more urbanized, commercial economy in West Germany. Under socialism, the GDR put everyone to work in cooperatives and didn’t have the resources to restore historic buildings, renovate museums, or modernize housing. “After The Wall fell” — November 9, 1989 — is the way most East Germans date the reunification process that transformed their region with legendary German efficiency, European Union funding, infrastructure and new attractions. Therefore, the sights most tourists want to see today were left untouched, unchanged and even more worthy of a visit than many similar destinations in the western part of the country. With lower salaries and pensions than elsewhere in Germany, the former GDR is also much cheaper for tourists.